Innovative and creative leader seeking to broaden the horizons of online and mobile media. Over 10 years of experience in developing websites, creating video content and social media marketing. • Oversaw website redesign efforts including online and mobile media strategy for school with campuses in United States, Italy and China. • Led redesign efforts for school's various online and mobile properties. • Created Facebook contests such as the SAIS Pride photo contest to encourage students to "Like" SAIS's Facebook Page by submitting photos of from their travels around the globe. The contest generated over 100 new fans for the fan page. •Built and maintained web properties for diverse academic community ranging from the main site for the school to academic research centers to student organizations and faculty websites. • Developed Celebrating Faculty website, which was built in Drupal using server-side media encoding and media mover module. •Created self-updating online media archive using Drupal and Feeds Module . •Developed mobile version of www.sais-jhu.edu. •Created online media ranging from images to video. •Delivered written and oral reports on state of web technologies and kept supervisors and other key stakeholders informed concerning development opportunities on the web. Managed re-launch of FordsTheatre.org following Drupal redesign. Site was viewed by 500,000 unique viewers in 2009, up from 200,000 unique views in 2008. Increased Ford's Theatre online visibility during Abraham Lincoln Bicentennial by releasing 2-3 daily updates to various social media websites such as Twitter, FaceBook, Vimeo, and iTunes. Produce, develop, and plan 2-3 monthly short-form videos using Canon XL-H1 and Final Cut Pro 6. Launched Ford's Theatre YouTube Channel. Video posted in 2009 were viewed over 60,000 times since launch of the channel. Created Twitter.com account and grew follower list to over 2,800 followers through daily updates and interactive communication efforts. 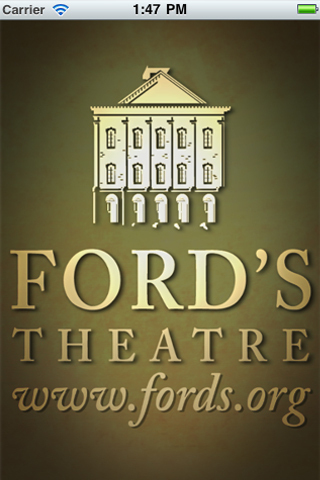 Updated FordTheatre.org on a daily basis with content edits in Drupal, HTMl, Flash and PHP. Oversaw third party vendor during planning, production and release of updated Virtual Tour. Coordinate website and video/multimedia updates with Director of Communications on a daily basis. Supervise website operations and work externally on a daily basis with third-party website and hosting support vendors. Promoted Ford's Theatre online through Google Adwords Campaigns. Campaigns averaged 15% CTR. Create HTML, CSS, PHP and graphics content for FordsTheatre.org on a daily basis. Present technical material to supervisors and provided research for improvements to reach department goals. Review web content goals and draft a web content report on a quarterly basis. A nonprofit public television national broadcaster featuring international content available nationally on public television carriers. Hired and supervised five full-time video production and graphics staff and managed active television production studio. Produced, managed, and oversaw 2 -3 television monthly television productions. Hired freelance production personnel for television studio productions. Managed department budget of $0.5 million. Set project timelines for television productions, on-air promos, DVD productions, podcasts and interstitial programming with regular daily, weekly and monthly deadlines. Created the network's YouTube Channel www.youtube.com/mhzworldview, ranked among the Top 10 Nonprofit channels on YouTube. Created and oversaw production of numerous podcast series for iTunes with over 500 weekly downloads. Increased MHz Networks' online visibility through Google Adwords campaigns, which in creased viewership of YouTube Channel by 39,000 views. Oversaw all creative processes for on-air promos and short-form broadcast programming. Created HTML and graphics content for MHzNetworks.org and other sites on weekly basis. Planned and coordinated $80,000 Apple XSAN project the resulted in the technical overhaul of post-production I.T. infrastructure and created a seamless production pipeline between creative and broadcast operations. Created MHz DVD Productions and produced 14 home video titles over a six-month period. The Kennedy Center is one of the leading performing arts organizations in the United States. Oversaw production of daily live Millennium Stage streaming video broadcast for Kennedy-Center.org. Supervised video production team of 6 part-time members. Managed production workflow improvement project, including recommendations on creating multi-camera live streaming productions using robotic cameras. Created HTML and graphics content for Kennedy-Center.org on daily basis. Produced daily live online video streams using Real Producer. Worked independently and within a team environment to support online media creation. Documented online media production processes weekly using Microsoft Visual SourceSafe. Oversaw the operations and staffing of three Macintosh and two PC computer classrooms in the School of Communication. Managed on-call video and multimedia technical support for academic departments with diverse needs. Trained staff, students, and faculty in video editing software. Developed staff training guides in computer lab standard operating procedures. Interacted regularly with student, faculty, and staff to address areas of concern for technology improvements. Managed 30 part-time federal work study employees to ensure assistance to students and faculty during class lectures and lab open hours. Ensured the proper function of over 100 computing systems, computer peripherals, and applicable digital projection equipment. Collaborated on purchase of new equipment for technological upgrades and overhauls. Trained over 60 students in basic video production techniques, HTML, Adobe Premiere, and Macromedia Flash for the school's weekend graduate program in online journalism. Updated and maintained web content for the School of Communication's website, www.soc.american.edu. Posted content and supported micro-site initiatives for Alumni Relations and the student journalism newspaper, The Observer. Provided Apache and Windows Server 2003 web server support to interactive journalism students. Wrote frequent letters to editor as college newspaper commentator. Hosted radio program on college radio station. Focused on intellectual property/information technology in legal studies.